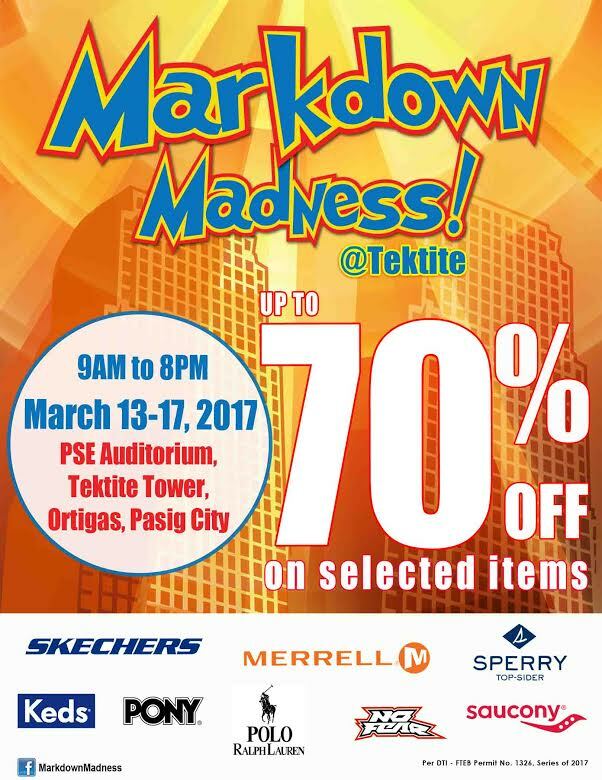 Markdown Madness, one of the biggest sale events in town, is happening once again! Kick off your summer with an awesome shopping spree and call dibs at the biggest deals on shoes and apparel before they run out! Get up to 70% discount from March 13 to 17, 9 a.m. to 8 p.m. at the PSE Auditorium, Tektite Tower, Ortigas, Pasig City. Participating brands include: Skechers, Merrell, Sperry, Keds, Saucony, Pony, Polo Ralph Lauren, and No Fear.